Charlie’s Soap Oxygen Bleach Charlie’s Soap Oxygen Bleach naturally releases safe peroxide and oxygen to tackle tough stains, whiten whites and eliminate odors. 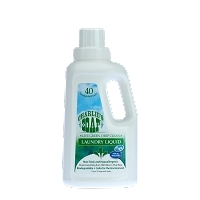 Our Oxygen Bleach can be used with anything washable and is safer for the environment than traditional chlorine bleach. Charlie’s Soap Oxygen Bleach adds an oxygen boost to that deep-down Charlie’s Soap clean you have come to expect. No perfumes, no chlorine and no residues left in your laundry at all! Charlie’s Soap delivers the good old-fashioned sweet smell of clean. If you want flowers, go pick some! 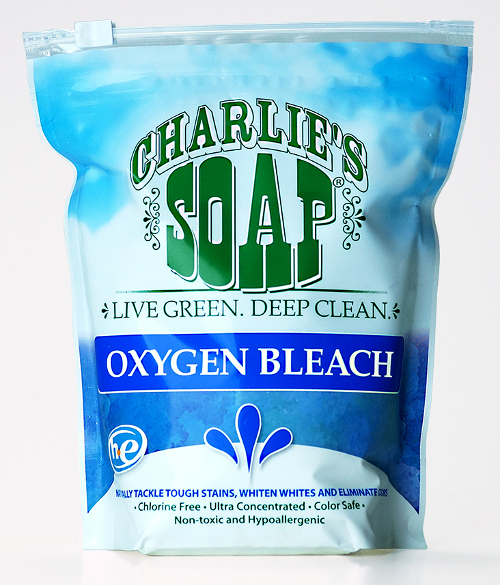 Why choose Charlie’s Soap Oxygen Bleach? Add 1-2 tbsp. Oxygen Bleach to the wash for light soils. Combine Charlie’s Soap Laundry Powder or Liquid with Oxygen Bleach for a 30 minute to overnight hot soak. Light soils: Add 4 tbsp. Oxygen Bleach to Charlie’s Soap and soak as needed. Mix 8 oz. of hot water with 1 tbsp. of Oxygen Bleach and 8 oz. of Charlie’s Soap Kitchen & Bath. Mix 8 oz. of hot water with 1 tbsp. of Oxygen Bleach and 8 oz. of Charlie’s Soap Indoor/Outdoor. Spray on surface. Wipe off with dry cloth. Solution will be effective for 6 hours.